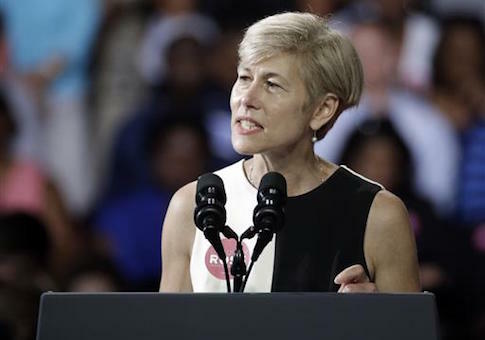 North Carolina Democrat Deborah Ross will attend a Tuesday night fundraiser at the home of the lawyer who represented one of the five Taliban terrorists who were released from Guantanamo Bay in exchange for U.S. Army Sgt. Bowe Bergdahl in 2014. The Winston-Salem, North Carolina, fundraiser will be held at the home of Robert Elliot, a local lawyer who represented numerous Guantanamo Bay detainees and got many of them released. One of the inmates he represented but failed to get released was Khairullah Khairkhwa, a former Taliban official who, along with four others, was released to Afghanistan by the Obama administration in 2014. Khairkhwa and the other four detainees were "bad guys" who the Taliban had been working to free for decades, according to the Daily Beast. Internal Pentagon records on Khairkhwa, who was detained in 2002, show that he was classified as a "high risk" threat to the United States and was associated with the Bin Laden terrorist network. "Detainee was a senior Taliban official serving as the Minister of Interior, Governor of Herat, and a military commander," wrote a Pentagon executive summary on Khairkhwa. "Detainee was directly associated to Usama Bin Laden (UBL) and Taliban Supreme Commander Mullah Muhammad Omar, and was added to the U.N. financial freeze list." The Pentagon stated that Khairkhwa was likely associated with a terrorist training camp run by al Qaeda leader Abu Musab al-Zarqawi. After the September 11, 2001 terrorist attacks on the United States, Khairkhwa met with Iranian officials eager to help the Taliban fight U.S. forces in Afghanistan. "Following the 11 September 2001 terrorist attacks, detainee represented the Taliban during meetings with Iranian officials seeking to support hostilities against US and Coalition forces," the report said. "Detainee also attended a meeting at the direction of UBL, reportedly accompanied by members of HAMAS. Detainee and his deputy were probably associated with a militant training camp in Herat operated by deceased al-Qaida commander (in Iraq) Abu Musab al-Zarqawi." The Pentagon identified Khairkhwa as one of the "major opium drug lords in Western Afghanistan" and posited that he "used profits from drugs to promote Taliban interests in the area." Khairkhwa was considered to be "of high intelligence value" to the Pentagon due to his close relationship with Osama bin Laden. He was considered to have more valuable information than any other detainee at Guantanamo Bay. "Detainee is extremely intelligent and may have detailed knowledge about the inner workings of the Taliban than any other detainee held at JTF-GTMO," wrote the report. "Detainee provided a vast amount of information, but has not given sensitive, unique, and possibly incriminating information about himself or high profile Taliban and al-Qaida members." The Ross campaign did not respond to an email seeking comment on the fundraiser. This entry was posted in Politics and tagged 2016 Election, Deborah Ross, Taliban. Bookmark the permalink.